If there’s one thing businesses today are afraid of, it’s falling behind. Being average. Not standing out from the crowd or staying up-to-date. 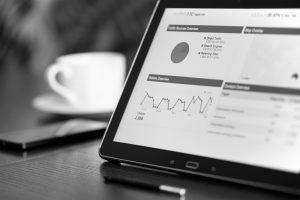 And with the incessant barrage of ‘revolutionary’ marketing automation tools and technologies zipping through the market like wayward comets, it’s easy to hop onboard with one in the hopes that it will give your business the ‘je ne sais quoi’ it needs to make an impression on your target customers. It’s not the platform you choose, it’s what you do with it that matters. As inspirational speaker Tony Robbins so aptly put it, “If you do what you’ve always done, you’ll get what you’ve always gotten.” Many businesses incorrectly assume that implementing new technologies will be the defining factor that launches them into the public eye or sets them on the path to become the next big thing. In reality, the act of investing in a new tool isn’t actually an organisational ‘change’ - just a new mode of delivery. Regardless of how many unique bells and whistles they each have, marketing automation platforms all serve the same purpose: to help you attract, convert, capture and nurture customers. They give you the ability to manage campaigns and deliver personalisation at scale, but you only really see value from these activities when you’ve laid the proper analytics groundwork - things like doing customer profiling and segmentation, creating a single customer view, analysing profitability and determining your highest value customers. In essence, you need the data about the current situation in order to understand the context. Marketing automation platforms don’t help you do this, but they can make your life much easier once you have done it. To clarify this, let’s revisit the actual definition of marketing automation. Marketing automation is typically defined as a tool or platform that automates certain marketing activities. Such tasks/activities include email campaigns, social media updates and lead management. To be clear, this automation does not replace the value or the activities of human marketers - it only serves to enhance their abilities to make a lasting impact on their target audience. The overarching goal of marketing automation is to help companies better find, capture, retain and nurture their leads, thereby increasing revenue and company performance. And every automation technology on the market can deliver this, when used correctly and in conjunction with comprehensive analytics. It does and it doesn’t. Depending on the nature and size of your business, there will be certain marketing automation platforms that might serve you better. If you operate a large, multinational business, you’re likely going to need an enterprise-level tool like IBM Watson, Adobe or Salesforce Pardot - these platforms will have the ability to cater to such a long contact list while allowing you to deliver personalised messages to your customers. Conversely, if you run a startup or a small business, something like HubSpot or Marketo is likely the better choice for you. Such platforms allow you to start small (in terms of pricing as well) but include some of the scalability you’ll need as your business grows. If you’re somewhere in the middle, it could go either way – mid-sized organisations that have a complicated customer base with dozens of different segments (and hundreds of different messages to send them) might be better off going for the enterprise-level tools simply for the configurability. If your customer base is quite straightforward, on the other hand, maybe it makes more sense to go for a simpler and cheaper option. The first step is to determine your goals and projected outcomes – what do you want to (realistically) achieve through marketing automation? What customers do you want to attract and target, and what data will you need in order to do so? And most importantly, is that data in a form that you can easily plug into the platform and reap insights from? If not, there’s analytics work to be done before your marketing automation platform will begin really delivering the results you want it to. 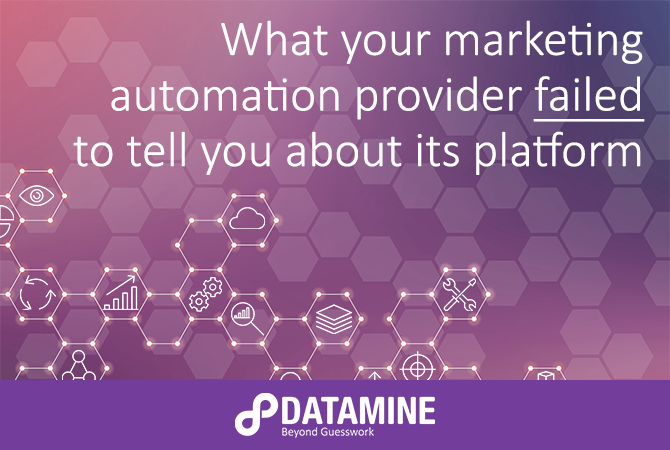 As you may have guessed from this article, Datamine isn’t tied to one marketing technology – we have helped our clients implement and reap value from nearly a dozen of the best marketing automation platforms over the years. Our focus isn’t on the platform, it’s on helping organisations build the internal capability and analytics infrastructure to actually make use of it. For more information, check out the Datamine Guide to Marketing Automation below, or book a free phone call with one of our experienced consultants.